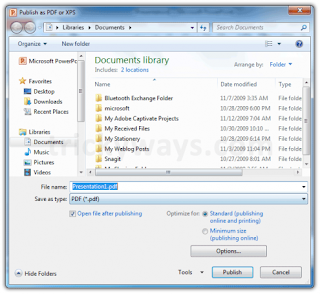 PDF documents are most commonly used file format and mostly used to easily share documents over internet. 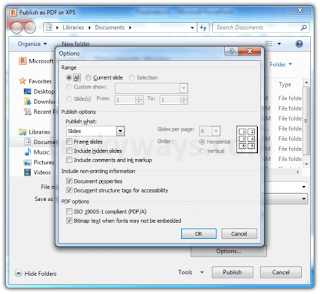 PDF files can be protected from changes and avoiding problems for fonts and broken layouts. Using Adobe Acrobat Reader, PDF file can be viewed easily. What if you want to save your PowePoint presentation in PDF format and share over the internet? 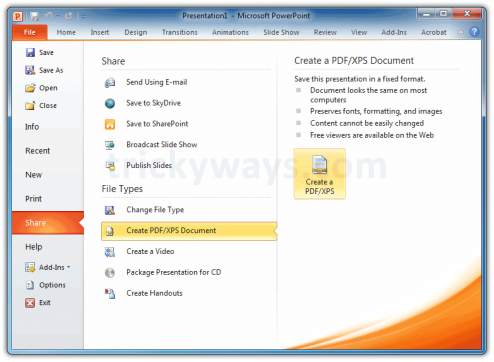 Now the question is how to convert PowerPoint .pptx file in to PDF file? 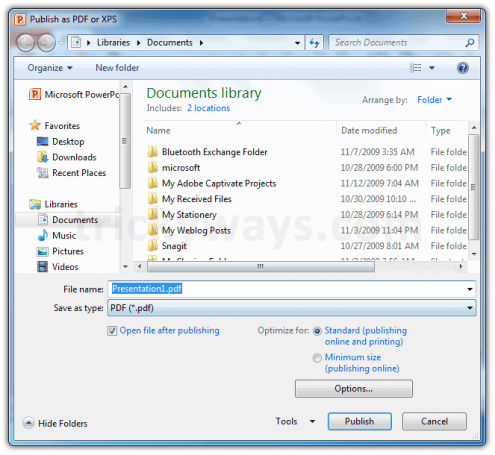 Microsoft Powerpoint also gives an option to save PPTx files as PDF. 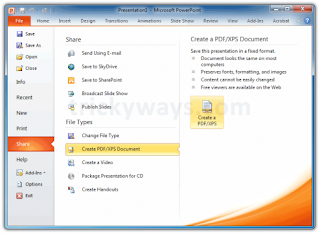 follow the given steps below to convert Powerpoint PPTx file to PDF file. Give proper name to presentation PDF file, to optimize PDF file use Optimize for options, either for Online use or Printing purpose. Tip: you can also save XPS file here by selecting XPS (*.xps) from Save as type dropdown menu. Click on Options button to see more publish options like Range of slides, type of slides to export, and more… see below in the screenshot. When you are done with options click the Publish button to convert PowerPoint file into PDF file.